Introducing a new course - Hammer skills. 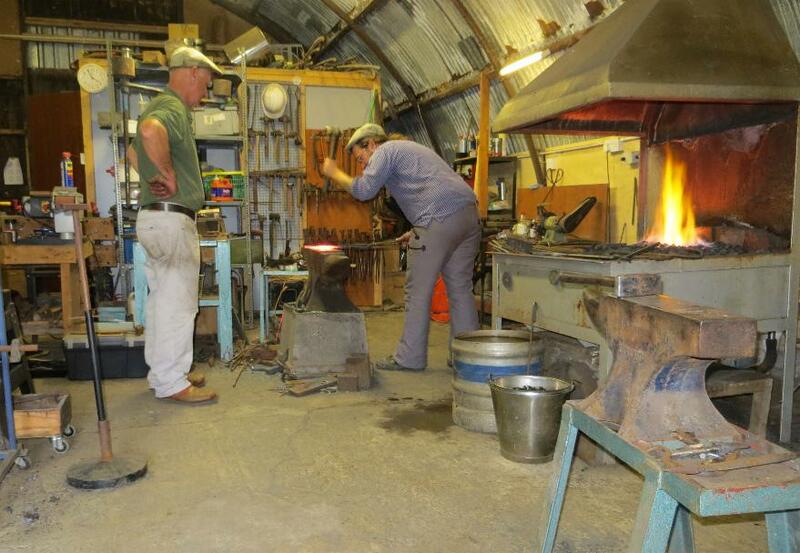 Concentrating on the correct, techincal aspects of use of the hammer, anvil and fire for the blacksmith. Suitable for beginers, apprentices or those with some experience who wish to improve their skills. 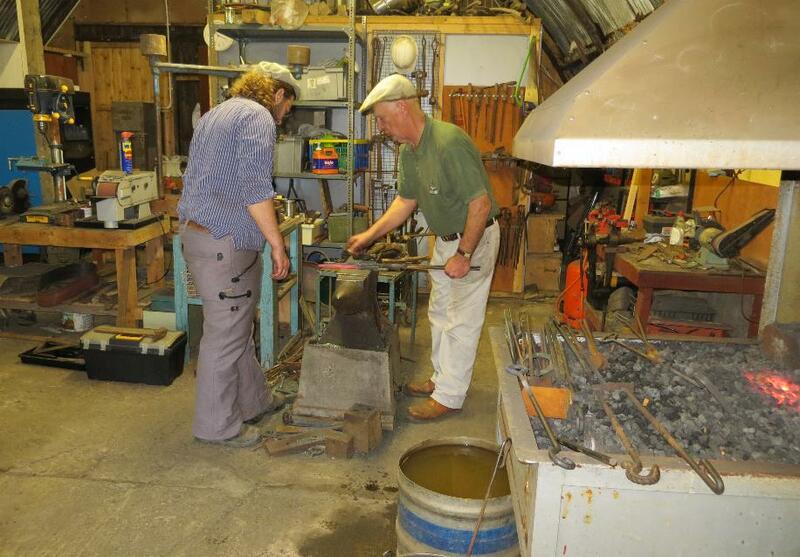 Hammer skills are Blacksmithing Courses, run in conjunction with Colin White FWCF of Anvilsring. 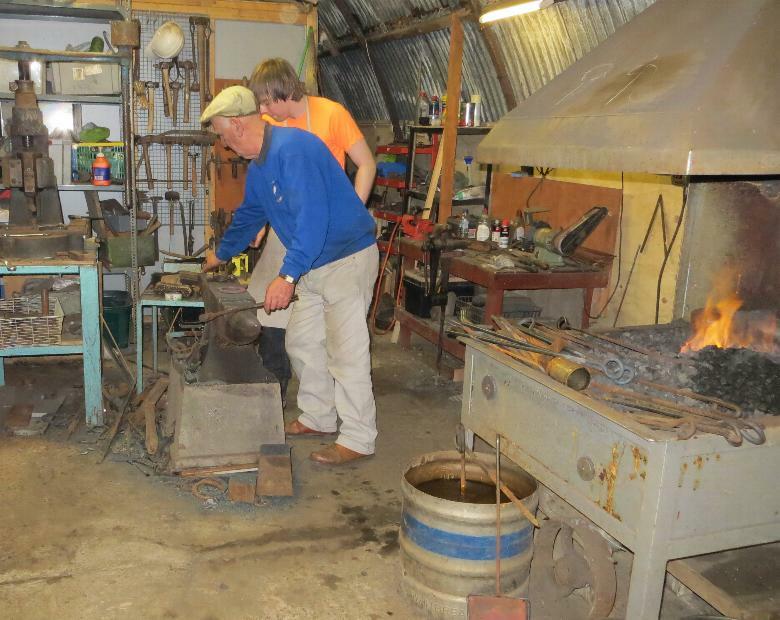 The courses are run by Bob Pickard RSS and concentrate on the basic skills required to enable students to progress onto more intricate forge work. THE TUTOR - BOB Pickard RSS - Now retired. 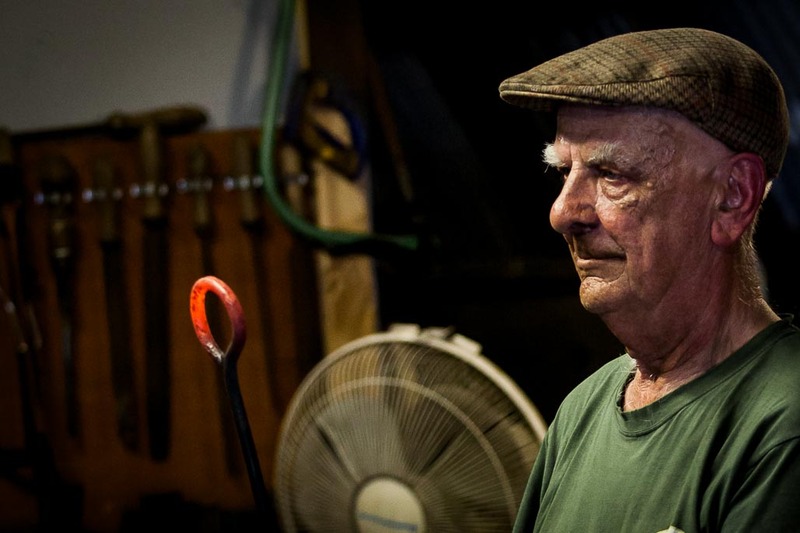 I worked as a Blacksmith and Farrier for over 45 years. 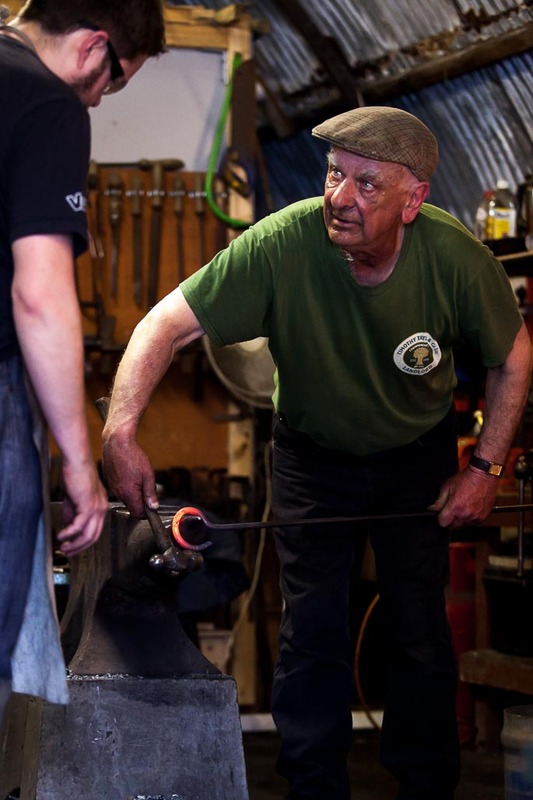 I ﬁrst entered the Blacksmiths shop as a l0 year old boy and was just fascinated by the works going on. As a teenager if anybody wanted me I was in the blacksmiths and, on leaving school at l5, I began my apprenticeship. After completing my apprenticeship in the army I decided to start my own business at the age of 22. The majority of the business was farriery based but always made time to carry out forge work, including gates railings and balustrades. Over the years I trained several apprentices, who are all now qualiﬁed with not one failing any interim examinations or tests. 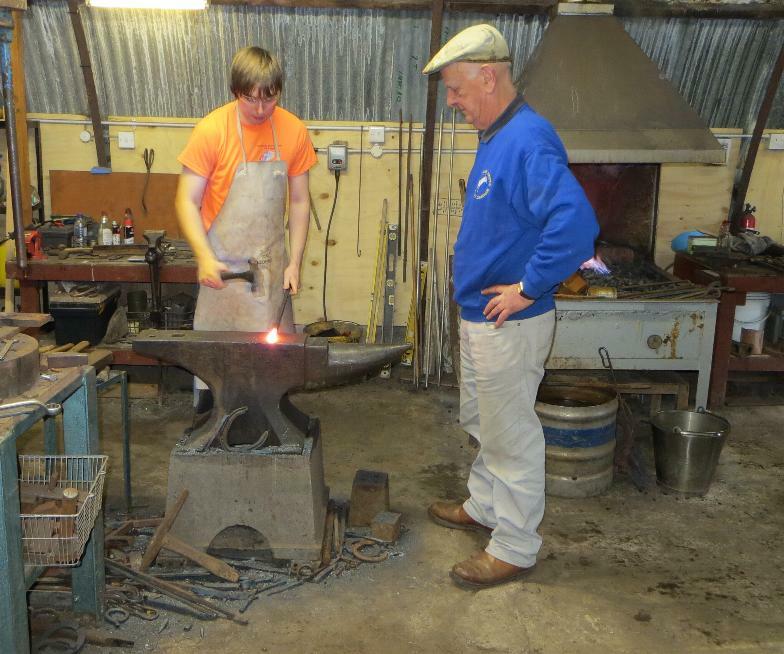 THE TUITION - I believe that the basic skills in the use of the hammer and the ﬁre are essential in the production of any forge work. 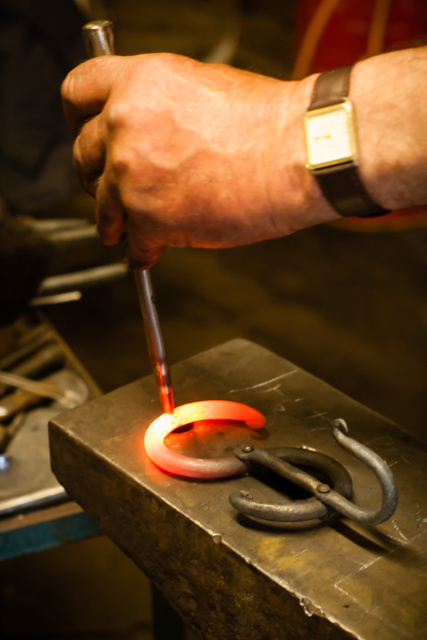 The tuition focuses on the use and management of the ﬁre to produce the correct temperature, the heat in the right place and the cleanliness of the metal to be worked. Hammer work concentrates on the balance and control of the hammer coupled with the creation a rhythm which will assist in the efﬁciency of the hammer blows. One controlled hammer blow in the right place is far better than three bashes in the wrong place. 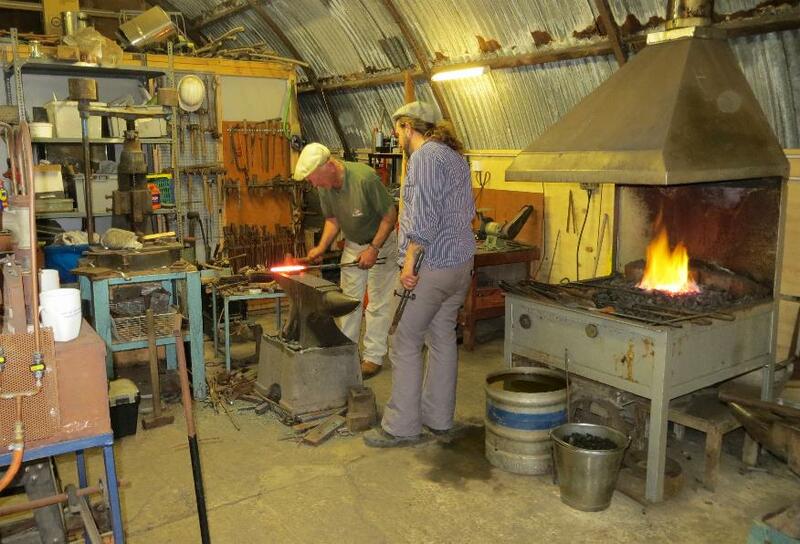 The course starts with hand held metal and moves on to holding the metal in the tongs. 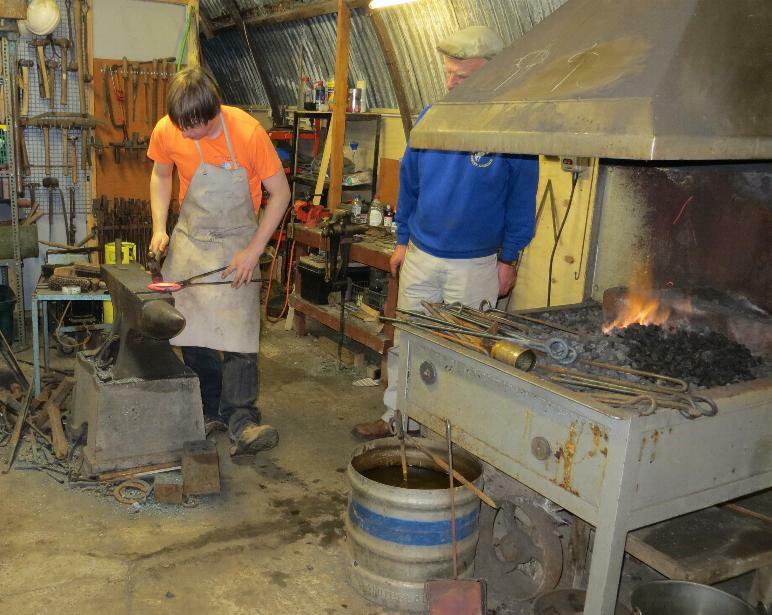 Students are instructed on how to set a pair of tongs and when your skills are adequate shown the techniques used in the production of a pair of tongs. 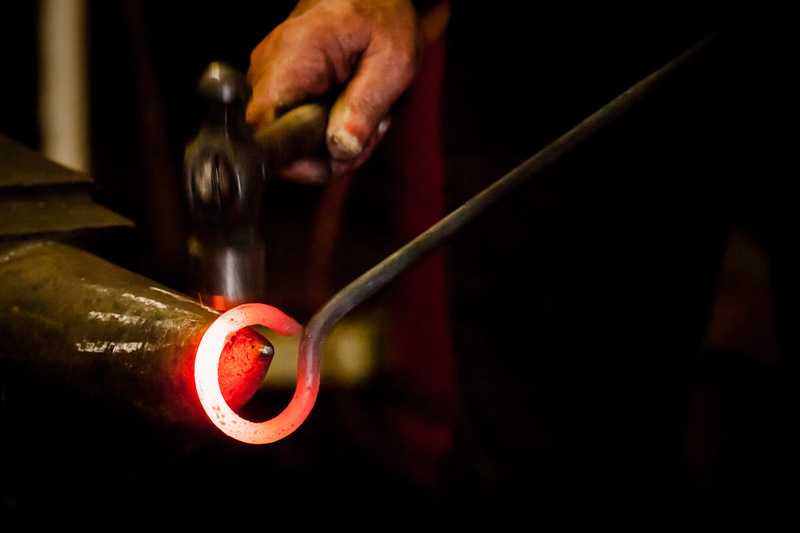 As an alternative students are encouraged to produce an item of forged work to take away with them. This item may be a poker, a toasting fork or a scrolled bracket. The list is endless but if a student has an idea for a piece of work, if not to complicated, we will work together and try to produce the item. 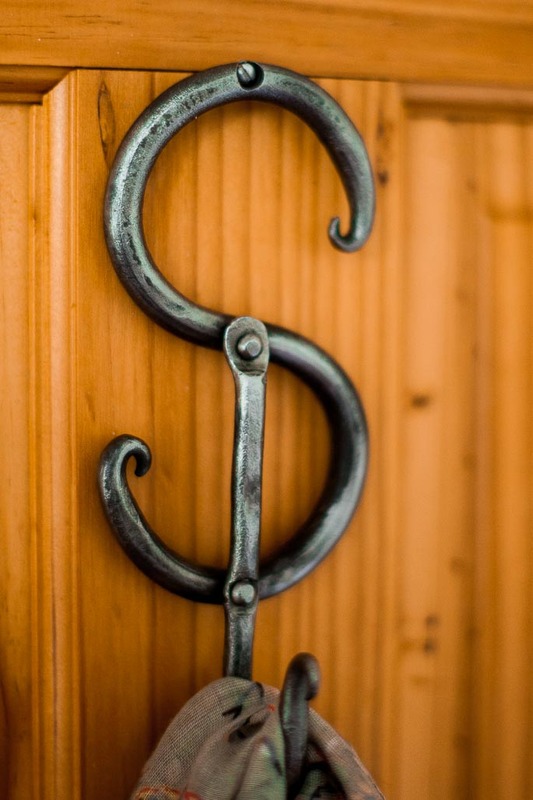 forged ironwork to the standards you require, back to basics may be the answer. 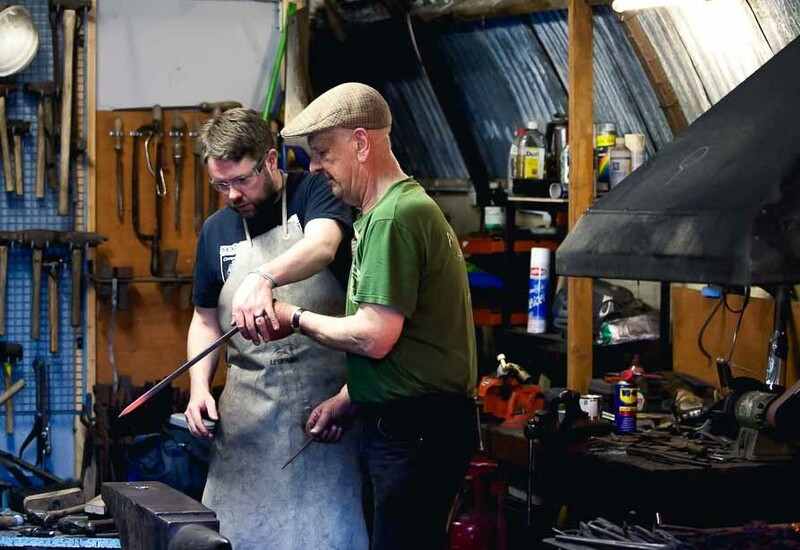 If you are interested in trying your hand at forge work the basic skills are essential and give a good grounding in order to move on to the more technical elements of the blacksmiths work. 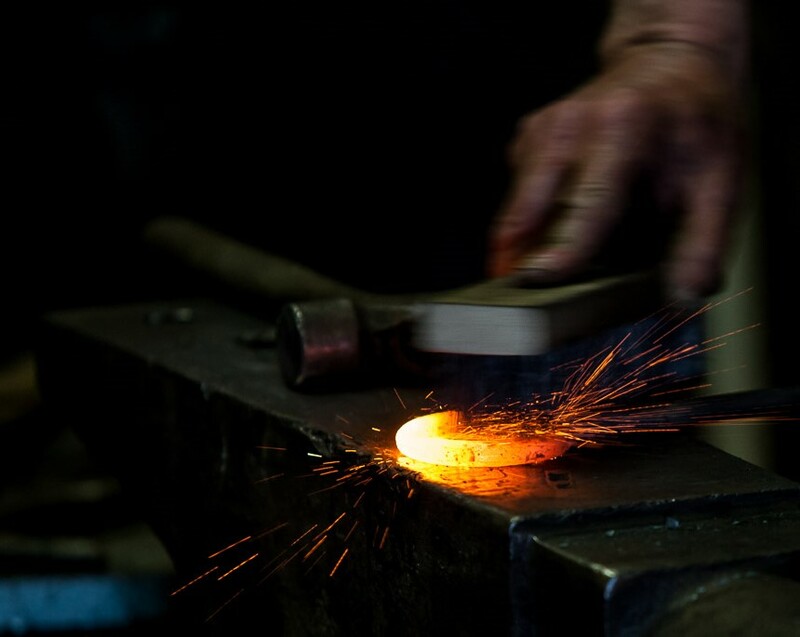 The courses are run in a relaxed manner with easy to follow instruction and techniques with the objective of instilling conﬁdence in the student’s ability to progress to more detailed forge work. Terms and Conditions are as shown on Colin’s Anvilring's web pages and I may be contacted via his site. To read reviews of this course click Here.